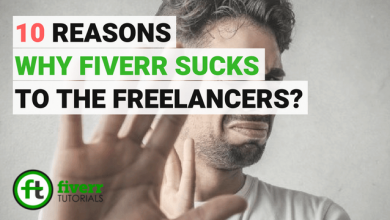 What's hindering you to get first order on Fiverr? 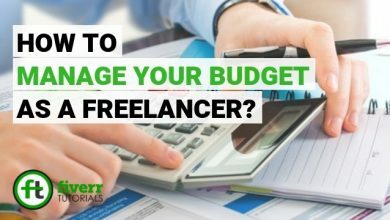 Are you one of those Fiverr New Sellers who is struggling to get a handsome start to their freelancing career? You don’t know how to manage orders, buyers request, create outstanding gigs to generate more sales. In this Fiverr Tutorial, we’ll be tracing all those hurdles coming your way to fly in colors. 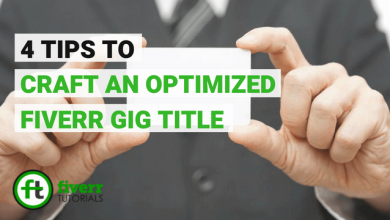 Optimizing your Gigs is something that’s a little bit difficult. You need to optimize Gigs in a way that they explain the buyer’s requirements more than your services. I never optimized my Gig description more than just describing my services to perfection. I use tags from time to time but not a lot. 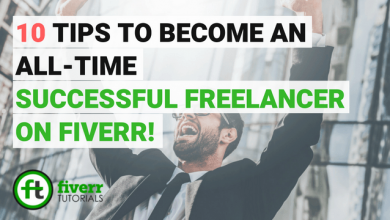 Also, I find it wastes a lot of time to be constantly changing the text and the reality is that Fiverr traffic to the site fluctuates dramatically from month to month so it is difficult to gauge your success. Furthermore, Fiverr search results have become personalized, like Google, so that your searches will affect your future search results. But How Will You Optimize In This Case? 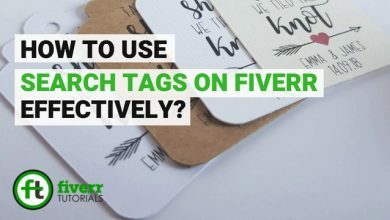 From the experienced Seller’s remarks and the hints provided by Fiverr overtimes, I think sharing your Gigs to other websites is a powerful way of getting more search exposures. Other factors that worth it is your response time, delivering ahead of deadlines, and the reviews. 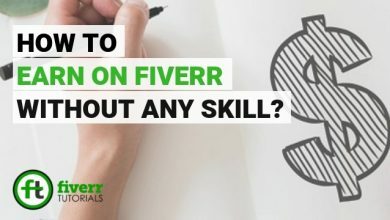 Go to the Fiverr site and search for something. Check the filters on the left side when the results appear. Go through each filter and see what ones will “knock your gig out” and why. For example – A gig that offers delivery within 3 days is much more likely to be picked than one offering 4 days. Why? It’s not a big time difference but the filter offers options of 24 hours, up to 3 days and up to 7 days! By adding an extra day to your delivery time (from 3 to 4 days), you can be effectively adding 4 days! 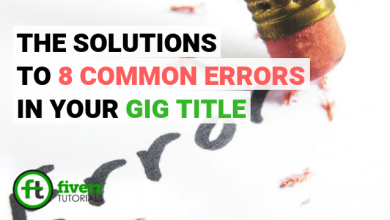 You can adapt your Gigs according to these filters in order to get better results. 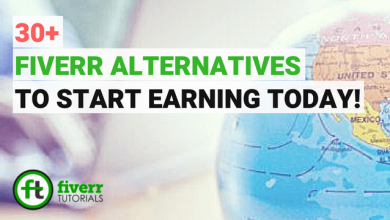 Regular Fiverr buyers will most likely use the filters a lot more than new buyers so the possibility of getting a regular buyer is increased if you work your changes well. Being online a lot makes a huge difference to get the app and use it. I get countless last minute orders from people who want something done within a very short space of time and are willing to pay double or triple to get it. Without the app, I would have missed these orders. If you are a writer and you have focused on trying to make your gig description optimized then it is possible that it reads badly. That reflects badly on your ability to write. What makes buyers buy your gig if what they see is a horrible description with the highlighter, bold text, and repeated phrases? They will never order your service with a description like that! That’s why I keep focussing on making my gigs look professional, descriptive and informative. And obviously, focus on optimization by the other methods mentioned above. Make sure you answer each buyer who contacts you. Please respond as quickly as you can to each buyer who sends you a message. When receiving an order, we recommend communicating with your buyer to acknowledge you understand their needs. Answer politely and in a respectful manner. Communicate in the languages you defined when setting up your seller profile. Keep all communications within Fiverr. 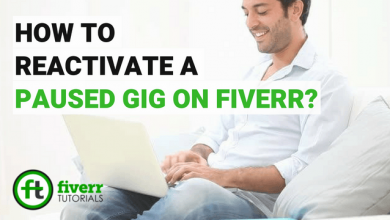 This is the only way Fiverr can protect you and your rights. Do not provide your personal information, such as your email, or use any other communication tools. 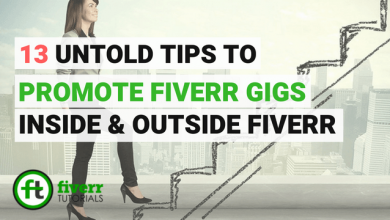 Fiverr encourages you to provide your buyers with “custom offers”, which will cater to the buyer’s specific needs. Do not attempt any credit card fraud, launder money, attempt to drive traffic to other sites or market unrelated products, abuse our referrals system, or make false claims against other members of the community. When you do an amazing job on a Gig order, you’re not just getting a happy customer and the chance for a good review on your page, you’re also increasing your likelihood of retaining your buyer. Buyer retention is the simple idea that anyone who buys a Gig from you once could buy from you again in the future, and you want them to choose you for all of their purchases. Reorders from past buyers make up a high percentage of sellers’ sales, so it’s important to know who your buyers are and how you can increase retention. Of course, the most important part of completing a Gig is providing a Buyer with the service or product that he/ she was expecting at the agreed-upon time. That said, including small extra details when you deliver your order can go a long way to making customers excited to order from you again. Over-delivering is a small and easy way to show your customer that you appreciate their business and that you’re a seller who goes above and beyond the minimum. Do you know all about why responsiveness is so important? 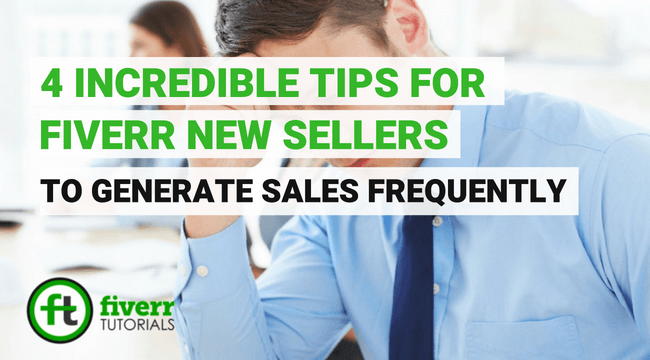 then get in the habit of responding to all buyers as quickly as possible. Not only will this improve your response rate, which is good for business, but it will also make your customers feel valued and that will make them more likely to choose you again in the future. Just because you’ve finished a customer’s order, doesn’t mean that your contact with the buyer should end! 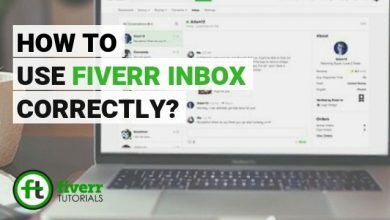 Use Fiverr’s My Contacts page to be in touch with past buyers when you have something that might be of interest to them (while being sure not to spam them). buyers when you have something that might be of interest to them (while being sure not to spam them). If you are offering a new Gig, for example, that would be the perfect opportunity to reach out and remind previous buyers about your services. If you’re not sure how to use your contacts page to keep in touch with past buyers. Buyers really appreciate knowing what’s going on with their order, so consider sending your current buyers a mid-project update just to let them know that you haven’t forgotten them and that you’re working hard on their purchase. Good communication makes buyers feel better about their order. This will make them more likely to want to work with you again in the future. At the end of the day, putting a little bit of extra effort into communicating with your customers can pay off in bringing you reorders from buyers who appreciate good service and attention to detail. An extra message or an added detail shows buyers that you care about their project. This can make all the difference in improving your buyer retention. 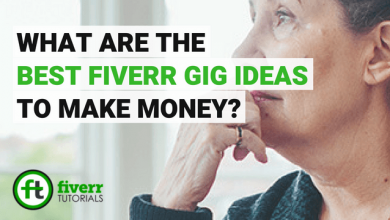 So you are Fiverr New Seller, created a few gigs but getting no sales. 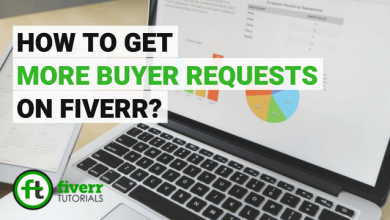 You checked out forums and other articles and came to know about the fiverr buyer request feature. They all are highly recommending you to make use of this gold mines. But you have almost no idea of how to write an effective proposal and get some orders through buyer request section, right? Well, it’s is true that BR (buyer request) is a gold mine where you can find your first clients. But the problem is thousands of other sellers are also using it to get sales. And to compete them, you have to write an effective BR proposal that hooks the immediate attention of your prospective buyer. Nice article. write more about this topic.